All proposed architectural, structural, electrical, plumbing and mechanical plans are required to be drawn to scale on prints. Indicate the existing conditions, location, nature and extent of the proposed work in sufficient detail to demonstrate conformance to City codes and standards. Each individual sheet of construction plans must be signed by the person responsible for their preparation. Each sheet of such plans, calculations and reports for non-exempt works (works not exempted by the State from the licensing requirements) shall be signed and sealed by the California State Licensed engineer or architect responsible for their preparation. A seismic evaluation must be reviewed and approved by the City when grading is proposed in a seismic hazard zone, as identified by the State Department of Mines and Geology. Upon approval, the City is required to submit one copy of the evaluation to the State geologist. Energy conservation documentation shall include both Title 24 calculations and compliance forms. Compliance forms shall be mad part of the plans. To justify the project design, specific information may be requested. This information may include structural calculations, or a geotechnical investigation report addressing hydrology and hydraulics. Corrections will be released when all reviewing groups (Building & Safety, Planning, Orange County Fire Authority, Development Engineering, etc.) have completed their reviews. Corrections may be released in advance individually upon request; however, no resubmittal may be made until all corrections have been incorporated into the resubmittal package. 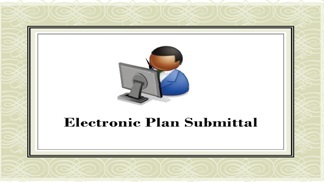 The appropriate number of plans sets and documents must be resubmitted as they will be distributed to the appropriate sections for concurrent reviews. If there is any doubt as to the number of sets to be resubmitted on a particular project, please call the One-Stop Permit Counter at 949-724-6313. Be sure to provide the plan check number. The Chief Building Official may waive the submission of plans, calculations, construction inspection requirements and other data if it is found that plan review is not necessary to obtain compliance with the codes and regulations. 5. Stormwater Notes and Signs Labeling Sheet6.